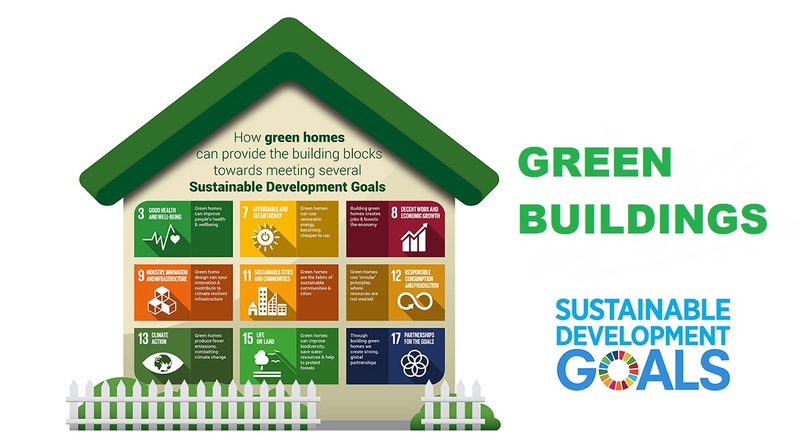 Due to the increasing rate of carbon and other global warming gases, Architects, Engineers, and many construction companies are working together to construct the green building worldwide. However, South Africa is emerging as the foremost country in making green building everywhere. The impact of building and construction on the environment is growing by leaps and bounds. The cause Green Building has been brought into the play is it can reduce 70% of the carbon emission. Not only this but also with this huge pace of making green building we can prevent the drastic change in climate. The plantation of trees is the main motto of this project. Isn’t it our duty to protect what’s the part and parcel of our environment? Trees protect us from natural calamities and provide us shades as well. Therefore, green building is used in so many ways. As per the report, green building in South Africa is on the rise. Nearly half of the country is following the project. Everyone is expecting to bring the entire change in the country in the upcoming two years. If the frequency of commitment is maintained, then no other country can beat the position of South Africa As becoming the one and only leading green country. The newly discovered Portside building is all set to embellish the architecture of the green building. And can you guess the valuation of the building? Its worth Rs 1.6 billion. Green building is the result of the extreme alliance of the Architects, Engineers, and the construction companies. In the recent past, Johannesburg has celebrated the green building technology and design. The Waterkloof Estate located in the Western Cape is famous for its top green architecture in South Africa. The agenda behind the project is protecting the natural sources. There is absolutely no need to put the risk on the natural resources and paying extra costs in the future. It is the high time to understand that we can not live our lives without luxury and comfort. For healthier living, green constructions include using easily available materials and recycling of products. Thus, green building is very much cost-effective in the long run. A green building creates a huge impact on the people nearby. It improves the health as well as increases the productivity of the habitat. An employee who works on a green building seldom feels sick. As a result, the number of absenteeism and stuff turn over has reduced on a large scale. This is no doubt the greatest initiative for making a better living and working environment. The entire construction process includes using natural resources and recycling the used products. Besides, it includes harvesting the solar energy. The solar photovoltaic system has encouraged to complete the entire process. Green building construction involves plantation roof gardens. Thus, it is easier to control the heating and cooling requirements. Business benefit is one of the primary factors. 87% respondents have reported the positive business outcome. Investors in this green project are very satisfied with their green investments. 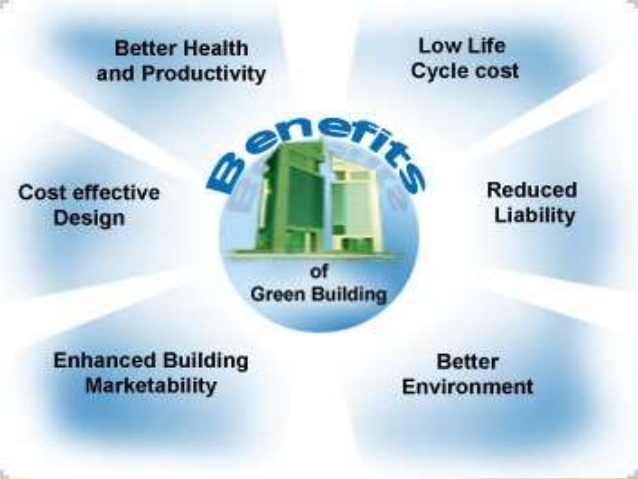 Therefore, green building can also be a wide scope for the business purpose. The green building movement started with an ambition to meet the needs of the energy crisis. The main agenda of this project is to produce an efficient and environment-friendly construction operation. Despite the fact that the green building is well recognized, there are certain limits to the rise of green building. The main challenge to green building is to find the trained professionals. Unless we have experts, it is going to be less productive otherwise. Therefore, the Government should enforce more training facilities to overcome the limitation. There is hardly any political support and incentives to promote the green building operation. The percentage of these two factors are on par with the global value. The green building construction requires a properly insulated building. During winter, roofs, walls, geyser insulation is very important to prevent heat loss. Moreover, it also restricts the heat from entering the room. ISOTHERM is the mostly used insulation product. The advantage of using ISOTHERM is, it is long-lasting and non-allergic. The population of the earth is set to increase more by ten years. It indicates more requirements of resources. So, It is the high time every one of us understands the necessity of green building. According to the reports, people who live in the green building lead happier and healthier lives. It should not be limited to green building in South Africa but the entire world should step forward and support this. The Government should encourage more production in the green building so that in the future it shows greater impact and turns out to be the green city.